Learn more about our Loan Programs below and Apply Now to speak with an MCS Loan Officer to see which Program is right for you! Conventional loans are typically underwritten to Fannie Mae and Freddie Mac’s guidelines for Conforming loans. Conventional loans are ideal for borrowers with excellent credit who can afford a down payment of 5 percent or more. The borrower must have a minimum credit score of 620, conform to income requirements, and provide the minimum down payment. Most Conventional loans require a down payment between 5 and 20 percent. Conventional loans fall into two categories: Conforming and Non-Conforming. Conforming loans are generally $417,000 or less for a single-family home, however, loan limits fluctuate in more expensive regions of the country (i.e. $625,500 limit in Hawaii and Alaska). Non-Conforming loans, or Jumbo loans, are those above the lending limits set by Fannie Mae and Freddie Mac. Most Conventional mortgages have either Fixed or Adjustable interest rates. Typical fixed interest rate loans have a term of 15 or 30 years, and shorter-term loans usually result in a lower interest rate. Adjustable-rate mortgages, known as ARMs, fluctuate in relation to the rate of a standard financial index, such as the LIBOR, and monthly payments increase or decrease accordingly. FHA loans are loans insured by the Federal Housing Administration (“FHA”) – a part of the U.S. Department of Housing and Urban Development (“HUD”) – and have been helping people become homeowners since 1934. The FHA does not lend money, but rather, provides federal backing in the event that the borrower defaults on the loan. FHA loans are ideal for borrowers with less-than-perfect credit, moderate debt-to-income ratios, and those who don’t have a lot of money for down payment as they offer easy credit qualifying, low closing costs, and low down payments. For the first time homebuyer, FHA loans offer many incentives for affordable, approved financing. Whereas Conventional loans can require as much as 20 percent down, FHA loan down payments can be as low as 3.5 percent of the purchase price, and most closing costs and fees can be included in the loan. FHA loans also allow for home repairs and remodels, including the costs of energy improvements. Additionally, FHA loans provide financing for mobile and factory-built housing. VA loans are loans administered and backed by the U.S. Department of Veterans Affairs for Servicemembers, Veterans, and eligible surviving spouses seeking homeownership or repair. Like the FHA, the VA does not loan money, but it does guarantee a portion of the loan, enabling the lender to finance with more favorable terms. Qualified veterans or active Servicemembers can purchase a primary residence with no money down, provided the purchase price does not exceed the appraised value of the property and the seller is willing to pay closing costs. VA loans have no private mortgage insurance premium requirement and the VA may be able to provide assistance should the borrower have difficulty making payments. 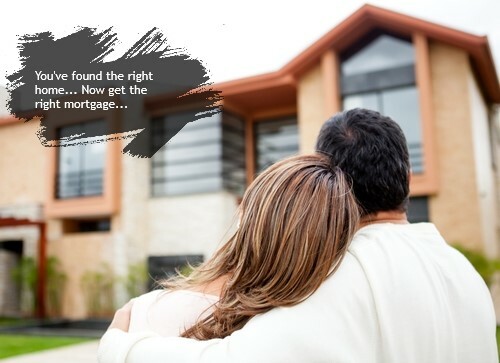 Additionally, VA loans are not restricted to first-time homebuyers, the benefit can be reused, and the loans are assumable, as long as the person assuming the loan qualifies. The length of service and/or duty status may determine the borrower’s eligibility for specific home loan benefits. Those borrowers who have been dishonorably discharged are disqualified from the VA loan program; however, appeals are possible on a case-by-case basis. Jumbo or Super Jumbo loans are Conventional, Non-Conforming loans that exceed the loan limits set by Fannie Mae and Freddie Mac. Loan limits vary by region, but are typically loans greater than $417,000; however, the Jumbo threshold can be as high as $625,500 in some parts of the country. See Conventional Loans above for more information. FHA Streamline Refinance loans reduce the amount of documentation and underwriting that the lender must perform, saving the borrower time and money. To qualify for streamline refinance the mortgage to be refinanced must be already FHA insured and current. Also, the refinance must result in a lowering of the borrower’s monthly principal and interest payments, or, under certain circumstances, the conversion of an adjustable rate mortgage to a fixed-rate mortgage. Lastly, no cash may be taken out on mortgages refinanced using the streamline refinance process. The FHA does not allow lenders to include closing costs in the new mortgage amount of a streamline refinance and investment properties or second homes may only be refinanced without an appraisal. Often, loans refinanced through the FHA’s streamline process yield better rates and lower payments. The streamline refinance loan is ideal for borrowers who are in good financial standing with no significant debt because it provides the borrower with extra money each month. USDA loans, also known as Rural Housing Loans, are insured by the U.S. Department of Agriculture and intended for those borrowers seeking primary homeownership in a rural area. USDA loans are all 30-year fixed rate mortgages, have no down payment requirement, offer 100 percent financing, and can be used by both first-time and repeat buyers. Should closing costs prove unaffordable, USDA loans allow the seller to pay them, or for the borrower to receive gifts from family and non-family members. While there is no minimum credit score, a borrower score below 640 may require documentation and explanation. As of October 1, 2012, USDA mortgage insurance rates are a 2 percent upfront fee paid at closing, based on loan size, for both purchases and refinances. For all loans, there is a 0.40 percent annual fee, based on the remaining principal balance. USDA mortgage insurance rates are lower than the FHA’s mortgage insurance premiums, which charge 1.75 percent upfront and as much as 1.55 percent annually. For the homeowner in a rural area, USDA loans offer low mortgage rates, comparable to Conventional 30-year fixed rates. For USDA borrowers, however, the lower mortgage insurance rates coupled with a small or no money down payment often provides a more affordable loan. FHA 203(k) loans are designated for houses that are damaged or solely in need of repair. These loans are especially beneficial to those who cannot afford a finished home and are willing to take on a fixer-upper. The loan covers not only the cost of the property, but also the cost of necessary home repairs. The down payment requirement is usually far below that required by Conventional loans and other FHA loans, and borrower eligibility criteria are flexible. In order to qualify, borrowers must plan to live in the home they are repairing and financing. Single-family, multi-family, condos, mixed-use properties, tear-downs, and year-old existing constructions all meet the FHA’s requirements. Homeowners whose homes need improvement, including room additions, disability access, bathroom remodeling, roofing, flooring, and air conditioning systems, can also refinance with 203(k) loans. The 203(k) program provides affordable financing for poorly-maintained properties such as short sales and foreclosures, making 203(k) loans ideal for potential homeowners who may not have adequate funds for a Conventional down payment plus the additional rehab costs distressed properties often require. Reverse Mortgage loans are intended for those homeowners who are at least 62 years old and seeking money to finance a home improvement, pay off a current mortgage, supplement their retirement income, and/or pay for healthcare expenses. A reverse mortgage allows the borrower to convert part of the equity of his or her home into cash without having to sell the home or pay additional monthly bills. In a regular mortgage, the borrower makes monthly payments to the lender. In a reverse mortgage, the borrower receives money from the lender, and it generally does not have to be paid back for as long as the borrower lives in the home. The loan is repaid when the borrower dies, sells the home, or the home is no longer the borrower’s primary residence. The proceeds of a reverse mortgage are typically tax-free, and many reverse mortgages have no income restrictions. 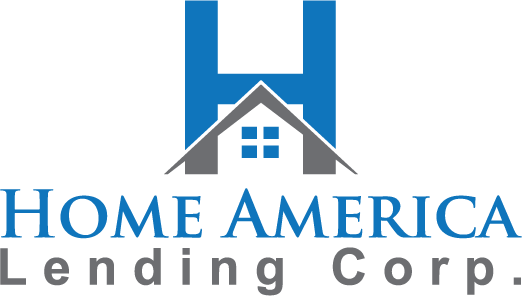 The Home Affordable Refinance Program (HARP) is a federal government program designed to help underwater or near-underwater homeowners refinance their mortgages into fixed loans with a lower monthly payment. HARP is intended for those borrowers who are not behind on their mortgage payments, but have been unable to receive traditional refinancing because of home value depreciation. Borrowers may be eligible for HARP loans if: their mortgage is owned or guaranteed by Freddie Mac or Fannie Mae on or before May 31, 2009, the loan-to-value ratio exceeds 80 percent, their mortgage was not refinanced under HARP previously (unless it is a Fannie Mae loan that was refinanced under HARP from March-May 2009), and the borrower is current on mortgage payments at the time of the refinance. As of the first quarter of 2012, HARP was expanded and is now ideal for borrowers with a loan-to-value ratio greater than 125 percent.